Advance America Cash Advance was founded in 1997. Currently, it has approximately 3,000 centers located in 35 states and employs nearly 7,000 staff. It has helped millions of American consumers overcome financial obstacles. Advance America Cash Advance has experienced considerable growth since 1997. It has developed a strong national presence due to consumer demand. Other factors that contribute to this strong presence are Advance America Cash Advance's responsible management techniques and its corporate culture. The company promotes responsible lending practices and superb, courteous customer service. Advance America Cash Advance employees follow the Company's Creed: "Respect Your Customers: We treat our customers with dignity and courtesy at all times. Respect your associates: We treat our associates, as we would like to be treated. Respect yourself: We work hard and use good, ethical judgment in everything we do. Respect the law: The law is there to protect our customers and us." Advance America Cash Advance is a founding member of the Community Financial Services Association (CFSA). Additionally, it is listed on the New York Stock Exchange. As a leader in the lending sector, they adhere to the highest standards and are an example of what a lending business can accomplish. Advance America Cash Advance makes funds available to customers to help them meet their financial responsibilities. If customers find themselves needing a cash advance, they should know they are not alone. Millions of people take advantage of payday cash advances to solve their cash flow problems. Advanced technology allows this type of loan to be handled in a dignified and discreet manner. Often, it may even be a less costly solution. Customers don't have to get family members or friends involved in their economic hardships. Customers don't have to risk losing valuable items as collateral, either. Approximately 70% of Advance America Cash Advance customers request a payday cash advance for convenience reasons, and only 6% resort to this type of loan as their only alternative. About 92% of Advance America Cash Advance customers feel that payday cash advance services are useful, and 90 % report being satisfied with their understanding of the terms and conditions. A payday advance does not affect a customer's credit score, because cash advances are not reported to the credit bureaus. Numerous customers have turned to a payday advance as a solution to their cash flow challenges. Most financial institutions don't offer this service. Advance America Cash Advance customers have expressed appreciation for a product that makes sense. There is only a one-time fee, which may be lower than the costs and fees associated with bounced checks, late credit card payments, or outstanding bills. Advance America Cash Advance acknowledges the need for safeguards to protect the best interests of our industry, as well as our customers. Their company has worked closely with state and local agencies to implement reasonable regulations to address concerns associated with customers who experience existing financial hardships, and those that may misuse lending services and could end up harming themselves. Advance America Cash Advance strongly promotes programs to raise consumer awareness in the community in order to educate consumers about financial products. Consumers need education on how to make sound long-term decisions dealing with their money. Advance America Cash Advance encourages consumers to review their options, as well as their ability to pay back a payday advance loan. Advance America Cash Advance encourages the implementation of laws that protect consumers and promote ethical industry practices. As a result, thirty-seven states, as well as the District of Columbia, have approved regulations relating to the lending business. Customers may be wondering how a payday advance works. The first step is to visit a payday center. Customers need to have their identification with them, a pay stub or proof of income, and a bank statement. After filling out the application, all customers need to do is sign an agreement and make out a check for the full amount (the loan amount plus fees). Normally, the fee is 15% of the loan amount. Customers would then receive a check for the advance amount. Next, customers need to return on the agreed date to pay back the loan. Once they pay the loan, the personal check they made out is returned to them. A payday advance must be repaid within a limited period, which is typically two weeks. 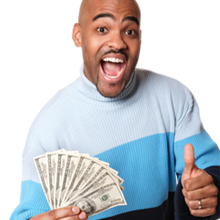 One advantage of an Advance America Cash Advance payday advance is that the one-time fee does not compound interest. Advance America Cash Advance's product provides a balanced solution to meet customers' short-term needs. As a result, Advance America Cash Advance customers are overwhelmingly satisfied with the company's services. Proof of this is the fact that very few complaints are on file. Advance America Cash Advance customers have a median household income of $41,000. The average age is 39, and more than 85% have a high school diploma or better. Additionally, 52% have some college experience, or a degree. Almost half of Advance America Cash Advance's customers own homes, and 100% have a regular source of income and an active checking account. Advance America Cash Advance is an advocate on behalf of its customers for the continued dispensing of payday advances. If used responsibly, their services provide effective short-term solutions to face life's unexpected emergencies. Advance America Cash Advance works with state legislators to design reasonable standards in the best interest of both the industry and the customers it serves. At the same time, Advance America Cash Advance strives to preserve the availability of short-term loans for thousands of consumers who need financial options. Payday lenders, including Advance America Cash Advance, continue to work with state and local agencies nationwide to design regulations to protect the small percentage of customers who may misuse the product and cause themselves further financial damage. Advance America Cash Advance takes its leading role in the lending sector seriously. It promotes high ethical practices and a responsible business methodology. The high demand for their product is evident by the abundance of payday advance locations currently operating. Advance America Cash Advance offers a service that other lending companies refuse to offer. Advance America Cash Advance offers an alternative to families or individuals who need relief for a short period. This allows consumers to avoid the long-term negative effects of missing or late payments to banks or other lending companies. The amount a customer can borrow is calculated based on their household income. The amount of the loan is relatively small and normally has a short-term maturity date. Even customers with financial problems can repay the loan without added financial burden. Consumers may borrow up to 32% of their gross monthly income. This limit protects customers from borrowing more than they can pay back. Advance America Cash Advance customers have an open and active checking account and are required to show proof of income. Additionally, when a customer is unable to repay a loan and requests assistance, Advance America Cash Advance works with the customer to pay back the loan without having to pay added fees. They offer an extended payment plan to help customers who cannot repay a loan within the agreed terms in the contract. This extended plan is disclosed to all customers and does not involve extra fees. Advance America Cash Advance lending business has set higher standards of professionalism in the lending industry. They will continue to provide a secure, private, and dignified alternative for consumers needing short-term financial solutions. Advance America Cash Advance customers are a testament to the company's excellence in service and outstanding business practices. Proof of this is the fact that 92% of Advance America Cash Advance clients report that a cash advance is a helpful service. Although the company processes millions of transactions, state regulators have very few complaints on file. Advance America Cash Advance does not target or solicit business from military members. Before they made the announcement to discontinue serving military personnel, records indicate that military personnel represented only less than 1% of their customer base. Out of Advance America Cash Advance's 2,728 centers located nationwide, only 42 are within one mile of a military facility.